It's native Full HD resolution, 2,500 ANSI lumens brightness and contrast of 20,000: 1 make it the perfect device for gamers, enthusiasts and movie fans football! 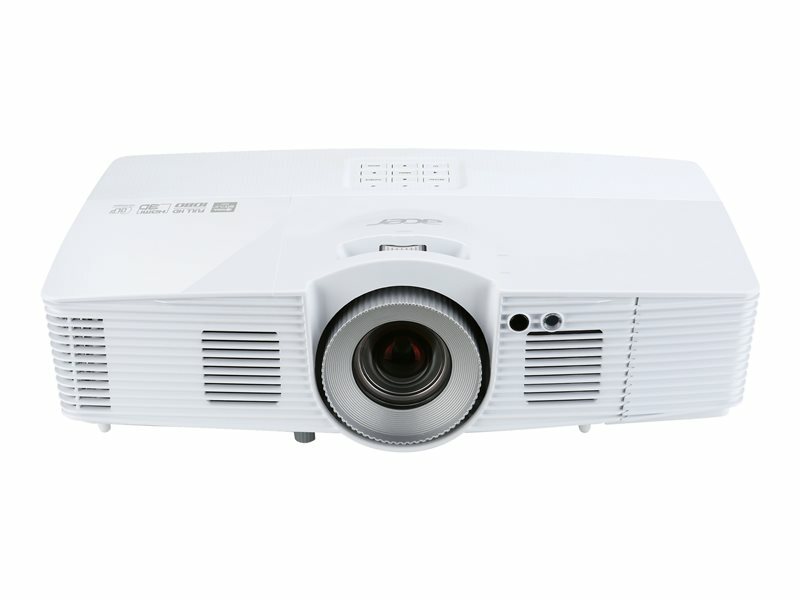 The vertical lens shift and a 4 Corner Keystone Correction make setting up the projector's play. By connecting an optional Acer Wireless Cast or an Acer WirelessHD kit you can make running a cable a thing of the past and project content from a television receiver, games console, Blu Ry player or smartphone, tablet and laptop absolutely wirelessly.